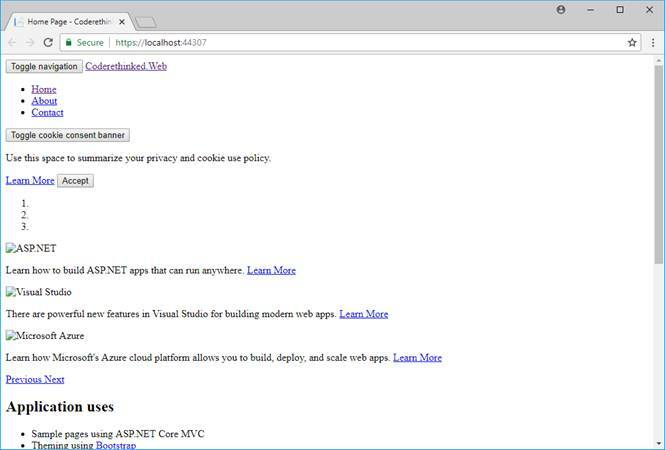 This post is just an introductory post on the ASP.NET Core application. 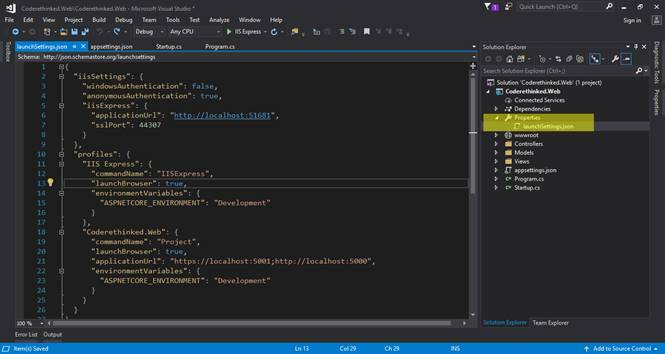 In this post, we'll create aN ASP.NET Core application and we'll examine the folders and code. 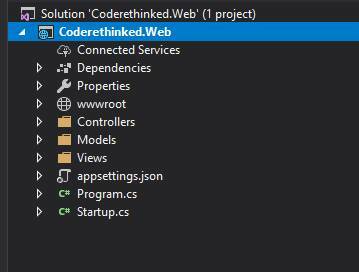 This post is an introductory post on ASP.NET Core application development. 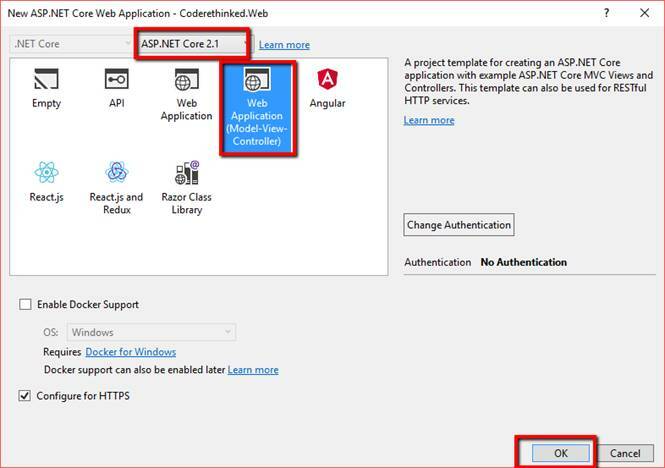 In this post, we'll create an ASP.NET Core application and we'll examine the folders and code. 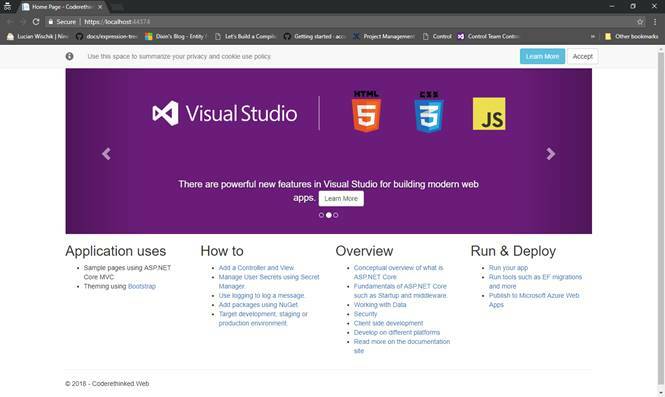 If you missed my previous post on ASP.NET Core and Benefits, take a look. To run/create applications for .NET Core, we need the following things. Make sure that Visual Studio 2017 has the "cross-platform development" workload installed through the Visual Studio installer. 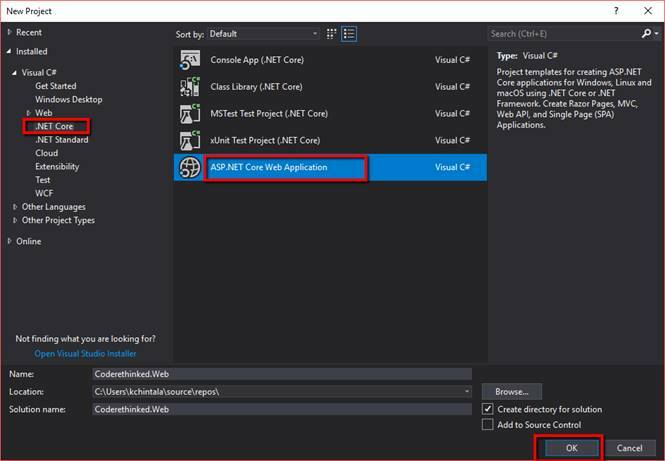 For creating .NET Core applications, open Visual Studio 2017 and select File >> New >> Project. And this should launch the Templates wizard like this. Now, this should create our application. Notice that we also have templates for Angular, React, and Redux in the above screen. Let's run the application. Press F5 or Ctrl + F5. There it is. Our application is up and running. Let's examine the folder structure now. Here is what our solution looks like. As you can see we also have wwwroot folder along with MVC structure. The wwwroot folder will have static files such as CSS, JS, HTML, images. This is called Web root. Let's try to access one image. Here is the screenshot of the code. "WebHost.CreateDefaultBuilder" method sets the content root to the current directory. The Program.cs also sets the startup using .UseStartup method. Let’s see what we have in the Startup.cs class. Notice the configure method. Here, we have the following statement. If we comment that out, we cannot access the static resources anymore. We'll see all our images, JS, and CSS will be stopped and our application looks like this. Things like SignalR, Routing, and third-party authentication can be configured here. This JSON file holds the configurations to run the application. In the above JSON, we have application URL: "http://localhost:51681" and an SSL Port: 44307 allocated. 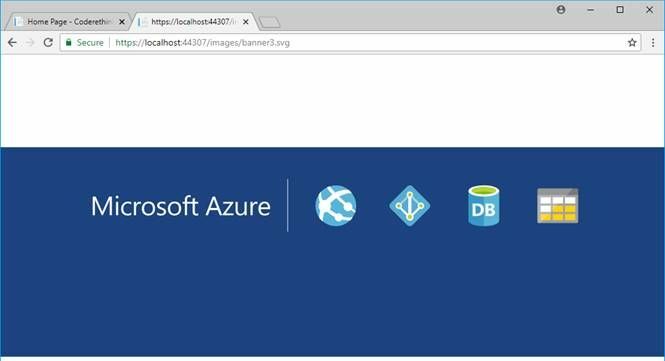 So, 44307 is for SSL port meaning this is for accessing site with HTTPS://. So https://localhost:44307 is secured while http://localhost:51681 is just a plain HTTP which is not secured. The other folders like Controllers, Models, Views are with the other MVC projects we have encountered before. I have not found anything special in those files.